A private detective moves from California to New York, but his past also follows him. As he investigates who is after him he comes across his ex-partner who set him up for a crime he did not commit, but is helped by his feisty and attractive secretary. 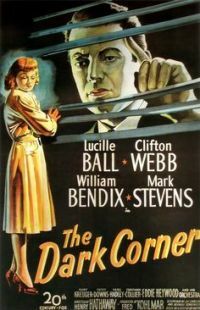 This is a typical 1940's film noir / private detective film as the murky underworld meets wealth and power. If you only know Lucille Ball from her light comedies, then this shows her dramatic abilities.